With apologies for tardiness, here are my thoughts about the free seeds from Renee’s Garden that I trialed this year. 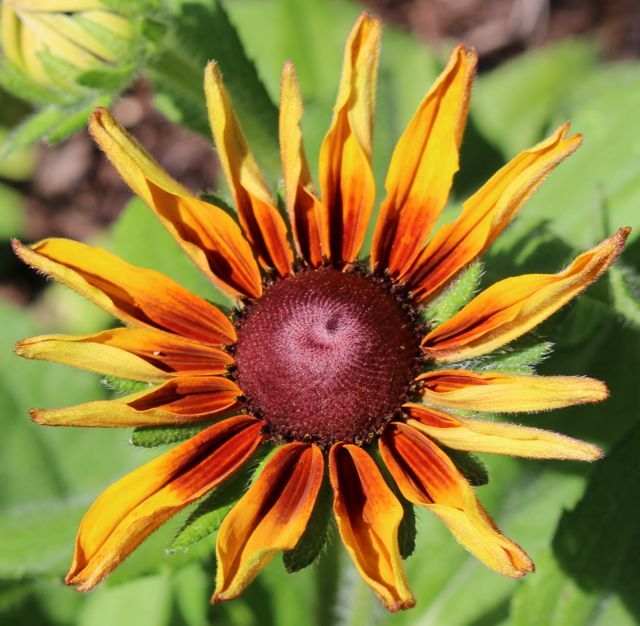 As those of you who have been reading my blog for a year or two may recall, every year, Renee’s Garden offers up to 15 free seed packets to members of the Garden Writers Association in the hopes, I imagine, that we will write about the seeds we try. I know that I feel obliged every year to write up how my Renee’s Seeds samples fared. I had hoped to squeak in my review before last year slipped entirely away, but I know most folks haven’t ordered their seeds yet, so you’ll still have time to ponder my results here. I ordered 11 seed packets, and received an additional sample in a promotional mailing sent out by this company, so I tried 12 seed varieties this year ranging from perennials to annuals to herbs to a vegetable. I’ve assigned grades ranging from A to F to this year’s seeds, but many more high grades than low ones. This post describes all the varieties that earned an A from me. This was the freebie seed packet sent with a promotional mailing. Described as a cut-and-come-again salad baby kale, I had to try it, and it has not disappointed. I first tried it with the spring garden greens and loved it then. For that round, I started seedlings in the greenhouse and transplanted them out when the weather had settled. They produced well and were delicious, but they bolted sooner than many of the other spring greens. However, when copious autumn rains began to fall, I decided to plant a small fall vegetable garden of broccoli and salad greens. I direct-sowed all the greens, using the same packets of seeds from the spring. 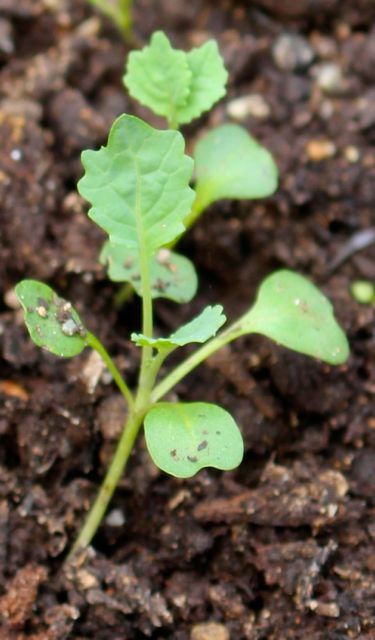 All germinated enthusiastically, including this baby leaf kale. When our autumn temperatures turned absurdly warm, I was able to protect these crops through minor dips in temperatures by covering them with a tent of spun garden fabric. At this point, after something like 8 inches of rain during the month of December, the salad greens are mostly mush — except for this kale, which continues to happily grow and produce. I’m guessing that the prolonged cold forecast for January will finally end this delicious, tender, productive vegetable, but I’ll let you know. Conclusion: I must give this variety an A for prolonged, delicious productivity, but with the caveat that my region experienced an extraordinary fall growing season. As a spring green, its productive life was too short to be worth the space it occupied. The flowers lived up to their name. I like foxgloves. I think they provide elegance to a flower garden, and the ones I’ve grown usually bloom for quite a while. 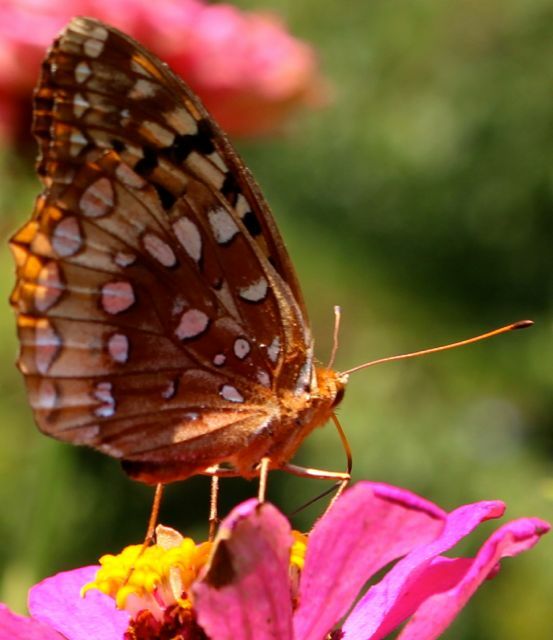 Pollinators of many persuasions like them, and because they are poisonous, deer and rabbits don’t touch them. They aren’t native, but the ones I grow have never demonstrated any invasive tendencies. This variety sounded lovely, so I figured I’d try them. I sowed the seeds in the greenhouse. They weren’t the fastest germinators, but they came up reasonably strongly. I managed to grow about 8 or 10 plants to transplant size, then planted them in their permanent bed at one end of my enclosed vegetable area. This bed is a trial bed for plants I’m testing. A late spring-early summer drought required me to water the new foxglove plants attentively. By doing so, I was rewarded with a number of bloom stalks that showed off rosy bells for about six weeks. When the flowers were done, I removed the stalks. About that time, the rains returned enough to encourage lush growth in the basal rosettes. I was looking forward to a 2016 mid spring full of foxglove flowers until one of the wettest, warmest Decembers ever recorded hit my region. The last time I checked, most of the foxglove rosettes appear to have rotted into brown goop. I have a feeling they’re gone for good, but I’m going to wait to see if new growth emerges when spring returns. Conclusion: This is a beautiful perennial that needs even moisture and perfect drainage to flourish. I’m not sure my gardening conditions meet this variety’s requirements. I’ll update you next spring. I’m giving this one an A-minus, because my December rains were more than many fussier perennials could probably handle. All parsleys are biennials, meaning they grow vegetatively through the first year, then produce seeds the following spring, after which the plants die. 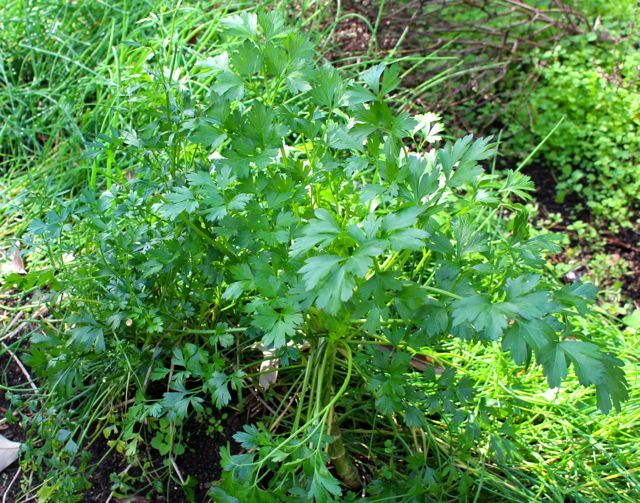 I started my parsley seeds in the greenhouse and got abundant, nearly instantaneous germination. I ended up with about a dozen vigorous seedlings that grew rapidly and well. I gave away a few plants to friends and transplanted the rest in open areas of my bed of chives, where they flourished. I harvested parsley leaves all spring, summer, and fall. This large, flat-leaved Italian variety enhanced salads, sauces, and many other savory dishes. About September, the plants surprised me by sending up flower stalks, which I had not been expecting until the next spring. I responded by cutting off the stalks before the flowers opened, in the hopes of prolonging their productivity. The tactic seemed to work, because the plants are still alive. This is one of the few herbs (chives being the other) that didn’t seem to mind the deluges of December. Conclusion: I’ll be growing this variety again. Santa brought me a food dehydrator, so that I can dry and preserve the abundant tasty leaves of wonderful herbs like this one. 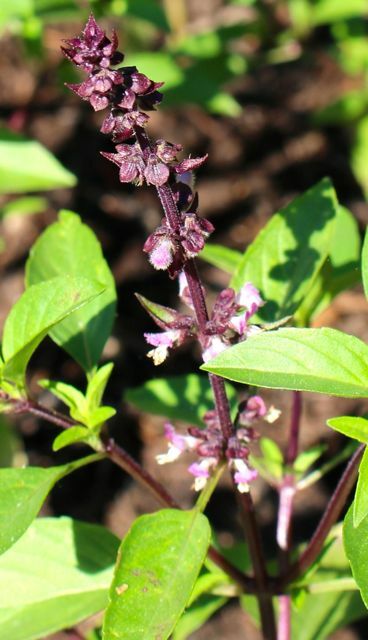 Renee’s Garden imports the seeds of this variety directly from Thailand, and I can attest that this is the very best Thai basil I’ve ever grown. Greenhouse-started seeds germinated well and produced strong, well-branched plants. 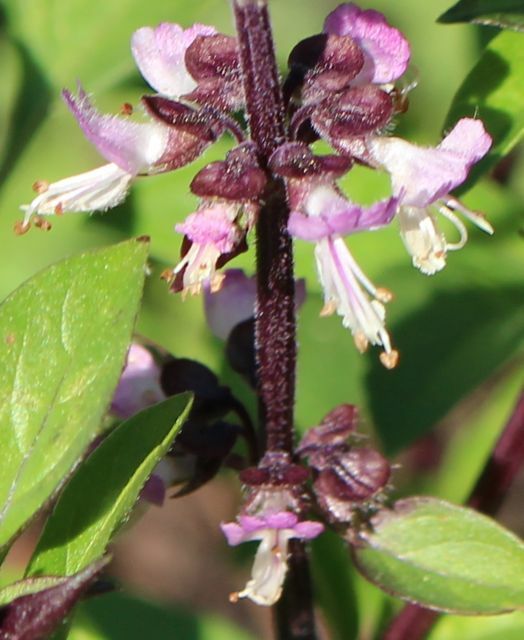 This annual herb was powerfully fragrant and flowered constantly, attracting a great diversity of pollinators, including many of the smaller, solitary bees and wasps so important to a healthy garden. 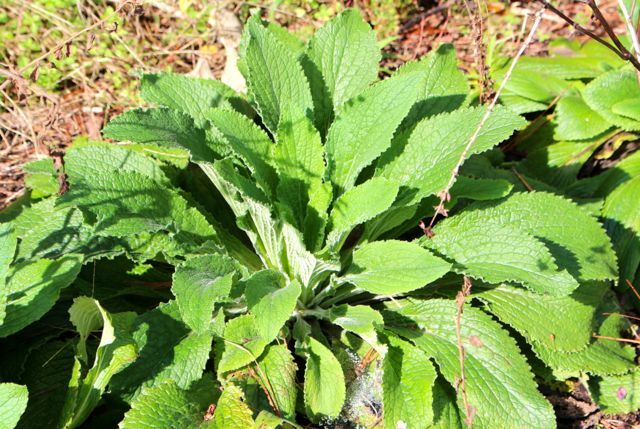 I don’t cook much with this herb, but many folks do, and I know it is used in teas too. 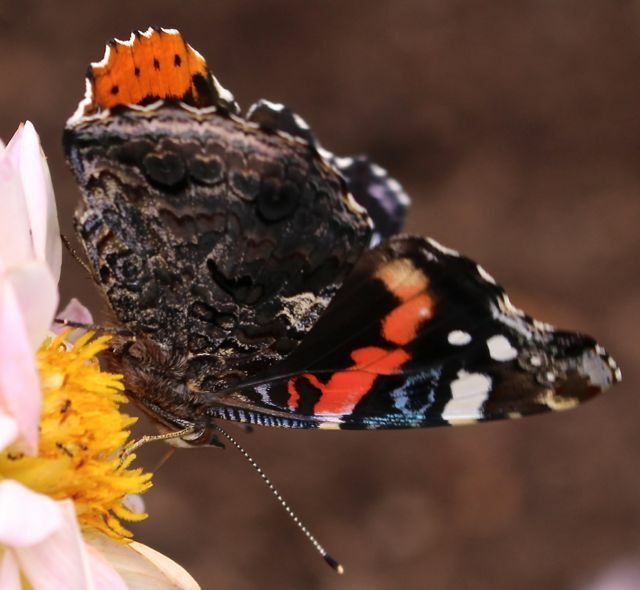 I grow it mostly as a companion plant for my vegetables, because it attracts beneficial insects, and I think its strong fragrance confuses some pest insects. My plants flourished with almost no supplemental water during the dry early summer. And later autumn rains didn’t bother them either. 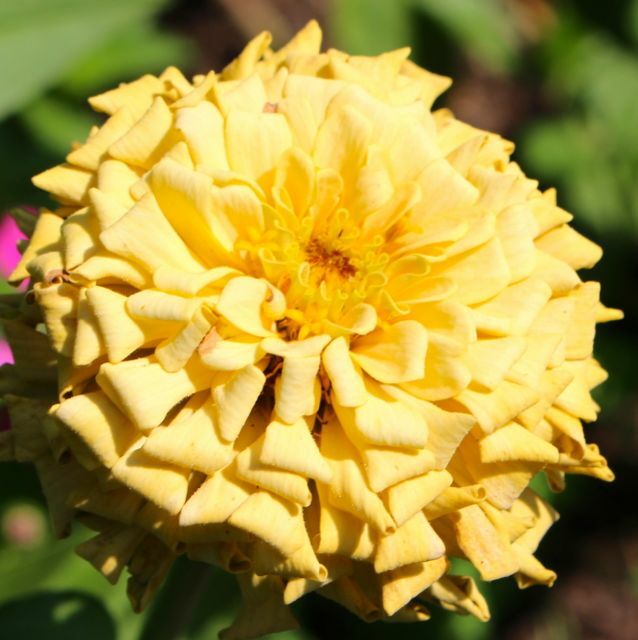 The flower stalks make great additions to bouquets, and I used them often that way all growing season. 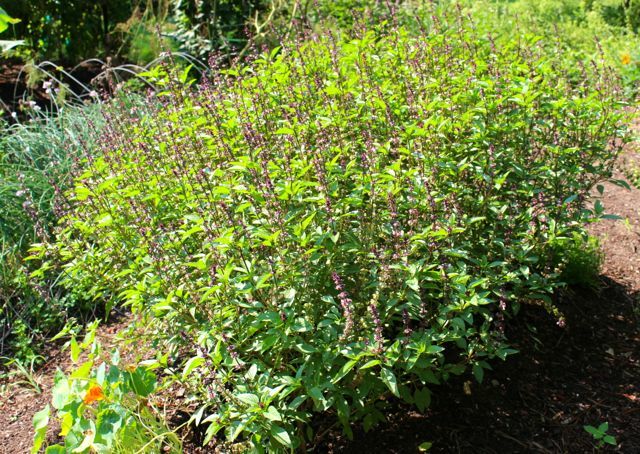 Conclusion: This is a wonderful summer annual herb that adds fragrance and insect appeal to any garden. I would happily grow it again, despite the fact that the faintest of frosts kills it completely — well before even other basil varieties surrender. 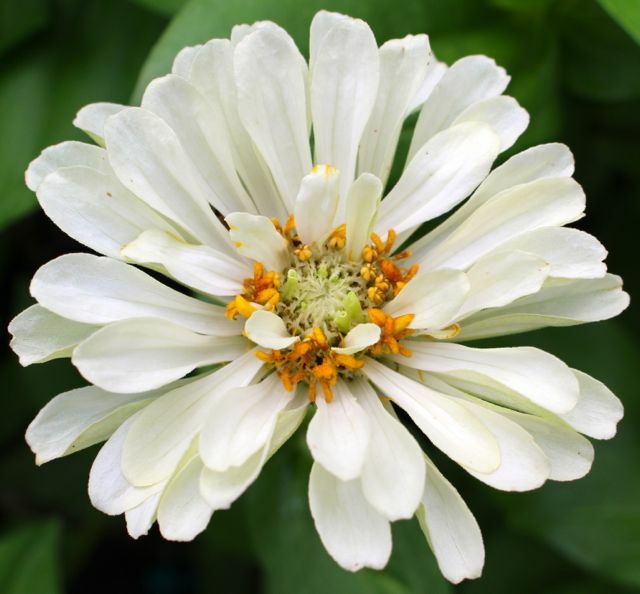 This variety gets a solid A.
I try a different zinnia variety from Renee’s Garden every year. Sometimes I’ve been wowed, sometimes disappointed; this year fell somewhere in between. In the past when I’ve tried a mix, I’ve been pleased by the relatively even color balance that resulted from the greenhouse-started seedlings I transplant into my garden. But this annual variety yielded more pink shades by far. They were nice enough, but I like to use zinnias for bouquets full of color. This year required more monochromatic bouquet construction. One of the few whites from this trial. The plants grew tall — about 5 feet or so, and the rains of autumn plagued the leaves with fungus. But for much of the summer, they looked pretty good. 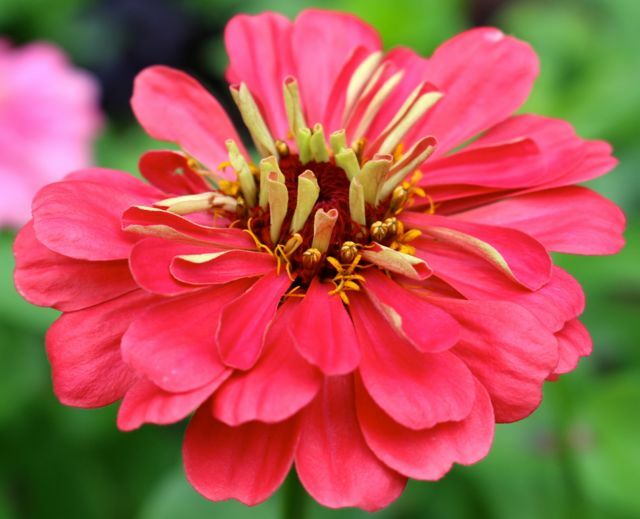 Still, zinnias are annual flowers I will always include. 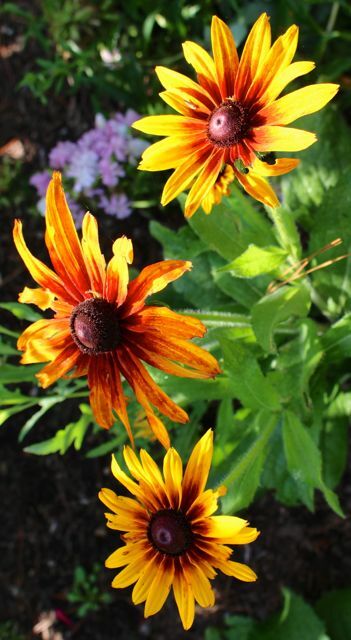 They are easy to grow, make great cut flowers, and draw a diversity of pollinators to the garden. 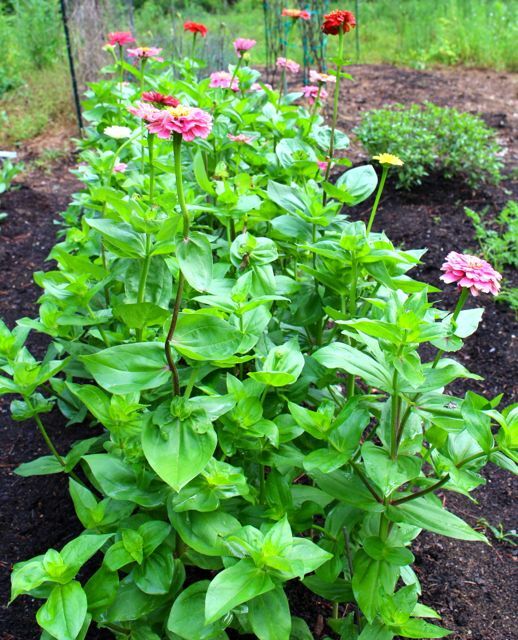 Every piedmont gardener with four or more hours of sunshine on a flowerbed should grow zinnias. Conclusion: I might try this variety again, but if I get another uneven color mixture of plants, I’d discard this zinnia option permanently. I’m giving it a provisional A-minus, based on the hope that future mixes would yield more color variety. Flowers on a single plant in mid-July! What a gorgeous perennial this turned out to be. I had tried this the year before, but only got a couple of weak plants started in the greenhouse that never took off when I transplanted them. I had better success on my second try. I still had germination problems. More than half the seeds didn’t germinate for me in the greenhouse. This is very unusual. 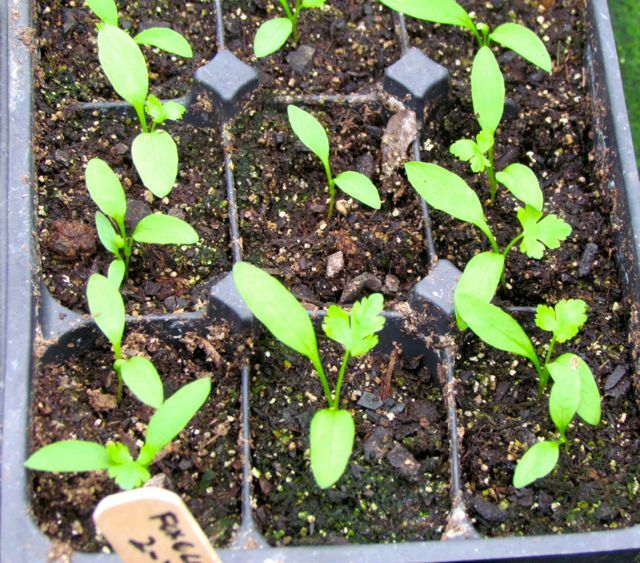 I almost always get excellent germination from any seed — perennial, annual, vegetable, etc. — that I start in my greenhouse. But the plants that did come up grew vigorously. I was able to transplant out four very healthy plants. All the pollinators loved these flowers. Floriferous is the word that best describes their productivity. 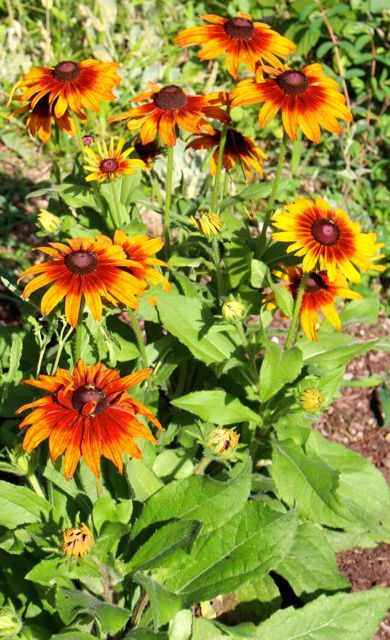 During June and July, the two plants that survived vole and drought challenges bloomed copiously and constantly. 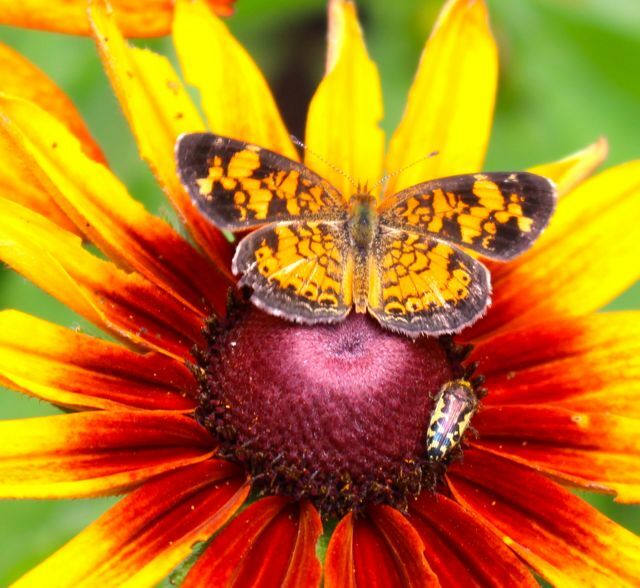 I imagine they would make great cut flowers, but I couldn’t bring myself to cut any, because the pollinators were addicted to them — and they looked so gosh-darned fabulous in the garden. I liked the way the flower patterns and colors varied. I was very hopeful that these plants would survive the winter and return for a new growing season. 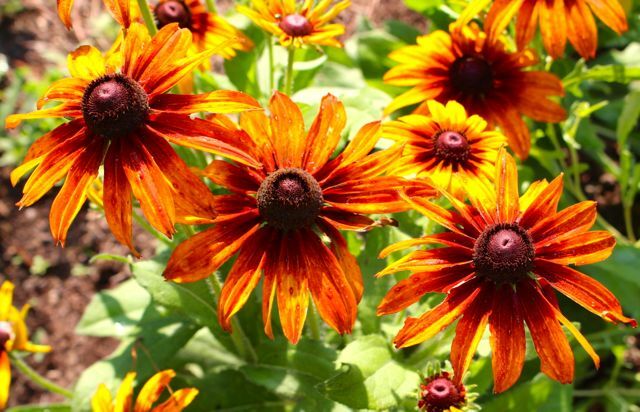 After all, the native rudbeckias have no trouble with this. But like the foxgloves, my Capuccinos did not fare well during the warm, absurdly wet December my area experienced. 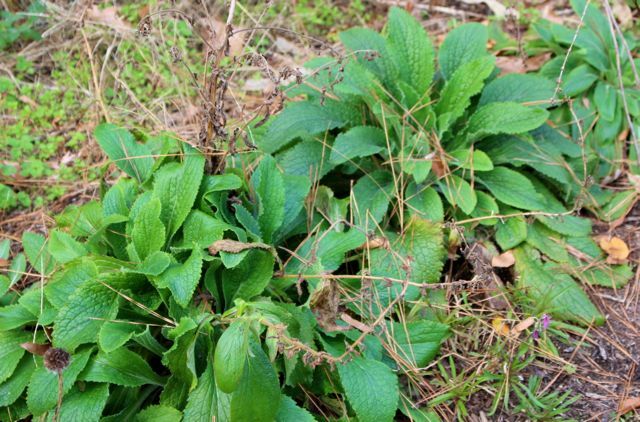 The vigorous basal rosettes present in November seem to have melted into mush. Like the foxgloves, I will not dig up where I planted them until the new growing season begins. If I don’t see signs of resprouting then, I’ll know they drowned. I liked the way the petals of new flowers un-folded themselves in the sunshine. Conclusion: As much as I want to give this variety an A+ for its wow factor, its weak germination combined with its apparent inability to handle wet soil mean I must give it a provisional A-minus. If it comes back next spring, I reserve the right to revise the grade upward. That concludes my description of the varieties that earned A grades in my garden. In my next post, I’ll describe the varieties that didn’t perform quite as well for me, along with a couple of varieties from previous years that continue to do well. Here’s hoping the new gardening season will bring us optimal growing conditions. We could all use a break from droughts and deluges. This entry was posted on January 3, 2016, 9:47 pm and is filed under Favorite Plants, piedmont gardening, Vegetable Gardening. You can follow any responses to this entry through RSS 2.0. You can skip to the end and leave a response. Pinging is currently not allowed.